I love a good bargain. I find that it can be hit & miss sometimes when visiting charity shops. It depends which one you go to, in which area. I seem to have quite good luck in the charity shops local to me in Sheffield. I also have decent luck in some York charity shops and I’m spending this weekend in York so I decided to have a browse! 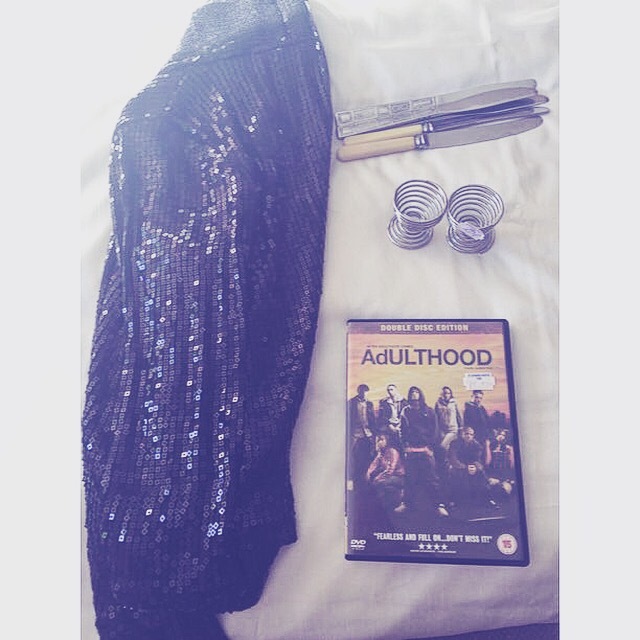 The first thing I spotted was the Adulthood DVD. Kidulthood is one of my favourite films and I’ve only seen Adulthood once. I didn’t want to miss the opportunity so decided to buy it! When I got home I have had a look on Amazon etc and it is quite cheap to buy now, but not as cheap as the bargain price of £1. 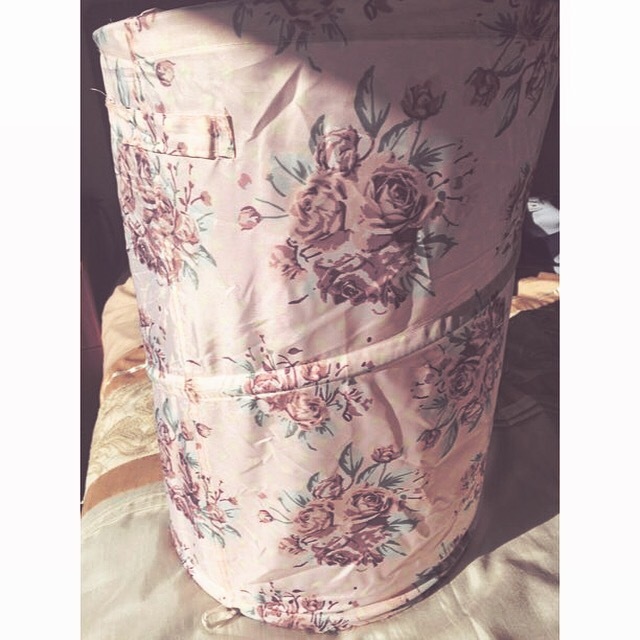 My current storage for washing is slightly broken, but my mum spotted this gorgeous floral washing basket. At the bargain price of £1, I couldn’t miss the opportunity. It’s so cute. This is going to sound really strange, but we are really lacking knives in our flat. For some reason they seem to go missing/get lost and we’ve not got many, but we still weirdly have plenty of forks and spoons. When we spotted a box of cutlery for 10p each, we couldn’t resist. I decided to buy 5 knives to top up the numbers in my cutlery draw. Since moving from our old house into the new flat, I’ve realised I didn’t own any egg cups. When I spotted these for 20p EACH, I decided it was time to buy this set. They are really unique. Can’t wait to have dippy eggs and soldiers using my new egg cups. My absolute favourite find out of the lot is the sequin jacket! It’s so sparkly and has a New Look tag on it. I’ve got some dresses which will go perfectly with this jacket. I’m going to wear it tonight for a family meal, so I’ll try get a photo of what it looks like on me. How amazing is that?! I love finding bargains in charity shops. I’d love to hear from you guys in the comments. What’s the best bargain you’ve found in a charity shop? Emotional Abuse or Am I Crazy? "Review: ThatProtein Vegan & Dairy Free Protein Powder"